In a diverse and distinguished career, Jim Stevenson combined service in the fields of law, government diplomacy, regulatory reform, civil service with an abiding love and support of artistic endeavour. Educated at Auckland Grammar School, Jim graduated from Auckland University with a Bachelor of Arts in 1968, a Bachelor of Law 1971 and was admitted to the Bar in 1975. His long association with the arts began in 1971 when he became the first chair of the New Zealand Students Arts Council. In this position, he toured many rock bands nationally and organised ground-breaking university tours by the Australian Dance Theatre, the New Zealand Ballet Company and the Four Poets Tour featuring Alan Brunton, Denis Glover, Sam Hunt and Hone Tuwhare. He was also active in student politics from 1966 as the Societies representative of the Students’ Association where he organised extraordinary social events including a legendary medieval-style banquet. 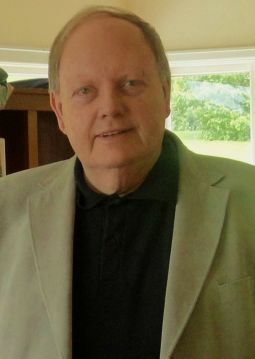 Jim developed a close friendship with poet Alan Brunton and co-edited with him the first issue of the literary magazine Freed. He played a significant support role for the avant-garde theatre company Red Mole founded by Alan Brunton and Sally Rodwell in 1971. In the 1970s he supported his wife Jenny Stevenson in the establishment of the Dance Centre in Wellington and in 1987 became the co-founder with Jenny of the Wellington Performing Arts Centre, offering tertiary level and community classes in dance, singing and acting. It was sold to Whitireia NZ in 2009, when Jenny and Jim jointly received the Absolutely Positively Wellington Award for contribution to the city and community. During the time of WPAC’s operation Jim offered several personally-funded scholarships to Māori and Pacific Island students. Other artistic interests have included writing the constitution for the national dance advocacy group DANZ and becoming a founding Executive Member. Jim also became Chairman of the Auckland Ballet Trust and Auckland Ballet Company and was the long-standing Chairman of the Mudra Dance Company, for which he received the Samman Award in 2014. In recent years, he assisted and advised the Hawaiki TŪ Haka Theatre Company. In his retirement Jim became a social historian documenting his own and his wife’s family history and heritage. He also earned the deep gratitude of the many people he helped by bringing his considerable research skills to bear in the pursuit of uncovering the truth. He will be remembered for his singular wit, as a devoted, supportive husband, father and friend who was compassionate, gracious and generous to a fault. Whatever he was dealing with at the time he put aside to listen, to advise, to help. He is survived by his wife Jenny, his daughter Sarah, two sons Richard and George, and two grandchildren, Teddy and Kingston. Original generation time 1.4893 seconds.